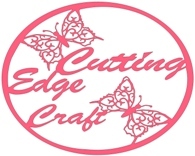 Welcome to Cutting Edge Craft. A new dual head machine to add to the award winning Silver Bullet family. In one single operation cut and crease, cut and emboss, draw and cut, and many other combinations. Using two different tools you can cover a width of 24" If you need a wider cut use then same tool in each head to cover a width of 26"! This new machine has been designed and developed in the UK along with our partner in the US - Silver Bullet Cutters. It has a full metal body and frame along with aluminium support tables. And the built in ThymeCam will give the most accurate print and cut currently available. All the features of the Silver Bullet plus more! Cardstock, Paper, Chipboard/greyboard, Mat Board, Box Board, Mount Board, Rubber Sheet. Fabrics including Chiffon, Cotton, Polyester, Velvet, Felt, Fur & Fake Fur. Leathers, both fine clothing leathers and thick vegetable tan leathers. Gasket Material, Vinyl, Thin Films, Stencil Material, Tyvek, Thin Veneer, Tissue Paper, Mylar, Clay & Precious Metal Clay, Magnetic Material, Shrink Plastic, Template Plastic, Teflon, Metal Foils & Sheets, Acrylic, Slate, Wood & Balsa Wood, Fondant & Icing Sheets. Coffee Filters, and so much more. If in doubt please feel free to send us samples to test cut. Maximum Cutting Width: Dual Head with different tools - 610mm/24". Dual Head with same tool - 660mm/26"
Maximun Cutting Thickness: 2mm recommended. More can be achieved depending on the density of the media. Pressure: 1grm-1250grm. Adustable in 255 steps. The fastest, quietest machine available anywhere. We thought the Black Cat Cougar could not be bettered, but we did it anyway!